It’s four years to the day that John O’Shea set Gelsenkirchen alight. In 2014, Ireland were on a high heading to Germany during their Euro 2016 qualifying campaign, having defeated Georgia and Gibraltar. While their win over the then-world champions a year later would go down in history, this away clash would prove no less crucial. 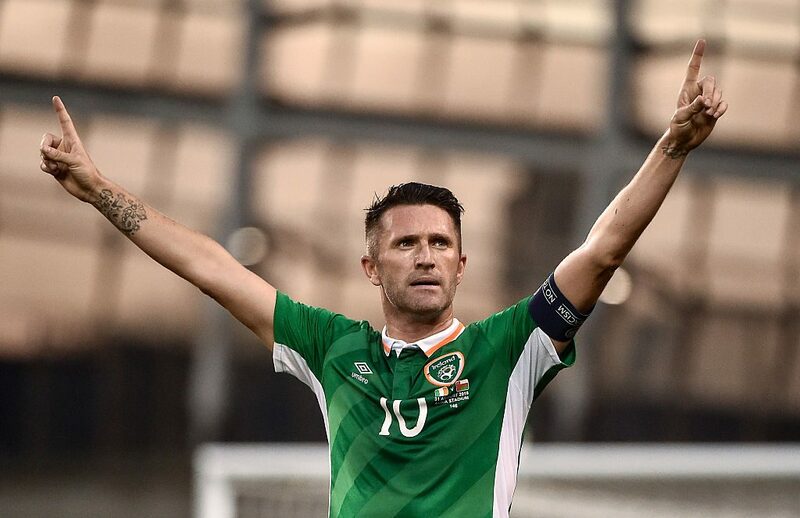 Aiden McGeady scored a brace to see of Georgia in Tbilisi, with Robbie Keane firing off an 18 minute hat-trick against lowly Gibraltar, and both former Celtic men started in Germany on October 14, 2014. While today’s team have undergone a series of changes, this squad was also facing a transition period. Richard Dunne had retired during the summer, while another veteran in Shay Given didn’t make the bench, with David Forde starting in goal. A solid core of O’Shea and Marc Wilson in the centre of defence were flanked by Stephen Ward and midfielder David Meyler at full back. McGeady was opposed on the left wing with James McClean, either side of Stephen Quinn and Glenn Whelan in the middle of the park, and Jon Walters partnered Robbie Keane up top. Jeff Hendrick and Darron Gibson replaced Whelan and Keane respectively in the second half, with the latter change indicating Martin O’Neill’s contentedness with a draw. But a 71st minute Toni Kroos goal necessitated the introduction of playmaker Wes Hoolahan at the expense of Quinn. While Wes had the desired effect of providing some attacking guile, it was Hendrick who was central to Ireland’s eventual equaliser, setting up O’Shea in the final minute. Ireland earned a point against the likes of Mats Hummels, Kroos, and Mario Gotze, though they would go on to lose to Scotland a month later. The unused substitutes on the night featured Shane Long, Kevin Doyle and Anthony Stokes up forward, and Anthony Pilkington plus Robbie Brady in midfield. The defensive options included Alex Pearce and Ciaran Clark, with Keiran Westwood and Rob Elliot comprising the goalkeeping alternatives. In the four years since, legends such as Keane, Given and O’Shea himself have departed the international scene, with Doyle retiring from football period. 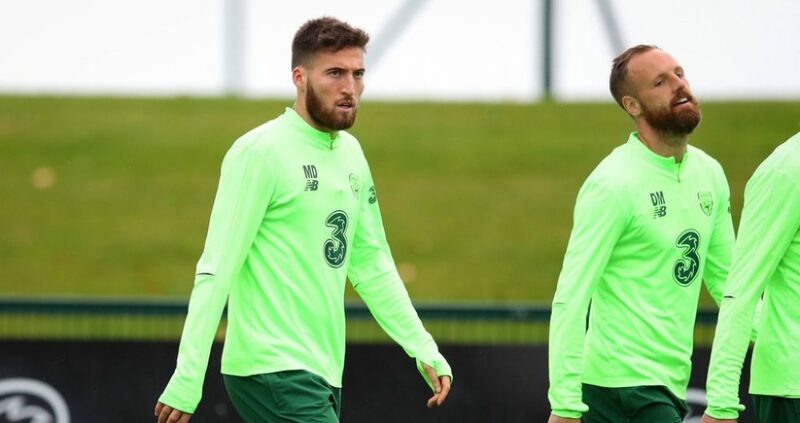 Mainstays in Whelan, McGeady and Wilson are no longer in contention, and given Ireland’s current woes, it’s worth looking at the modern squad in comparison. The squad that’s available for this week’s return leg against Wales in the UEFA Nations League sees just five players (Clark, Hendrick, Meyler, McClean, Long) remaining from that glorious night, with others unavailable through injury and loss of form. Forwards: Shane Long, Callum Robinson, Sean Maguire, Aiden O’Brien, Scott Hogan, Ronan Curtis. It’s been a poor run of form in 2018, with just one win over the USA pitched against three defeats and two draws. Darren Randolph has sewn up the number one position, but Ireland’s long-time defensive stability has deserted them despite an adequate marshal in Shane Duffy. The Brighton man is often paired up with Kevin Long, though O’Neill has experimented with three at the back in recent games. Due to captain Seamus Coleman’s return from a leg break, Cyrus Christie has been pushed further forward, while Matt Doherty’s proliferation at Wolves offers another piece of the jigsaw in what is still a defence in transition. In midfield, Hendrick and Arter have taken on the veteran mantle, ably backed up by Callum O’Dowda and Conor Hourihane. The likelihood of Declan Rice switching to England has robbed the team of a long-term base in the engine room, however. Alan Browne does provide an attacking outlet, and his Brighton teammate Seani Maguire is among those clamouring for a regular starting position up top. Despite Long’s seemingly eternal struggle in front of goal, injury has hindered Maguire’s chances. In 2018, Aiden O’Brien, Graham Burke, Shaun Williams and Callum Robinson have been among those to get game time, with the former three bagging a goal each. It’s clear that while the modern first eleven pales hugely into comparison with that which took to the field in 2014, the competition being provided by the wider pool of players is a positive development. 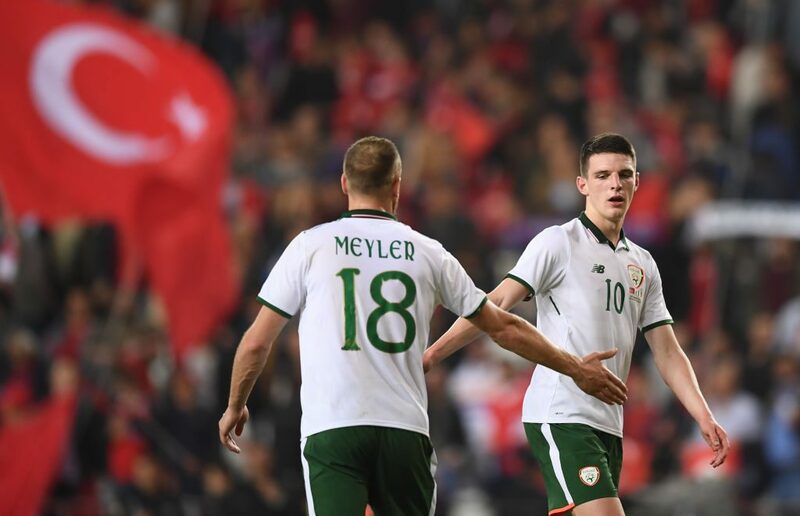 While that hopefully continues to progress, it’s imperative that O’Neill finds his best eleven as the Euro 2020 qualification process ramps up.